Taking Note: The WHL and its Memorial Cup nightmare: What to do? The WHL and its Memorial Cup nightmare: What to do? 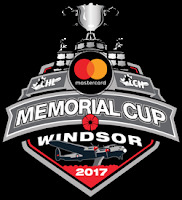 In the nine Memorial Cup tournaments from 2000 through 2008, WHL teams were 22-19 against teams from the OHL and QMJHL. As well, five different WHL teams won the tournament. The Vancouver Giants, as the host team, won the title in 2007. The WHL-champion Spokane Chiefs won it in 2008. The WHL was skating in high clover. Since then, well, if you’re a WHL fan the numbers are ugly. Since then, there have been nine Memorial Cup tournaments and only one has been won by a WHL team — the 2014 Edmonton Oil Kings. Don’t forget, too, that three of the tournaments in that stretch were played in WHL cities. 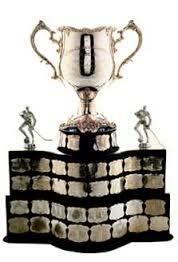 That means that only one of 12 WHL teams to have played in the tournament over that time has brought home the loot. If you take a look at those 12 teams, only four won more games than they lost in the round-robin portion of the tournament — the 2016 Red Deer Rebels, who were the host team, the 2013 Portland Winterhawks, 2010 Calgary Hitmen and 2009 Kelowna Rockets. In the past two tournaments, the WHL champions — the Brandon Wheat Kings in 2016 and Seattle Thunderbirds this time around — went a combined 0-6 and were outscored 34-8 — yes, 34-8! — in six round-robin games. The Thunderbirds went 0-3 and were outscored 18-3 in the tournament that is ongoing in Windsor, Ont. So . . . what’s going on? The easy thing is to say, well, junior hockey is cyclical and this is all part of the cycle. But that is supposed to be a three- or four-year cycle. Could this be deeper than that? The WHL has 22 teams. There are 20 in the OHL and 18 in the QMJHL. In the past nine years, the OHL has won four Memorial Cup titles, the QMJHL three, with the 2017 event yet to be decided, but likely headed for an OHL team. The WHL faces stiff competition from junior A teams in recruiting talent. This season, there were 56 junior A teams operating in Western Canada — 11 in the MJHL, 12 in the SJHL, 16 in the AJHL and 17 in the BCHL. Of course, a player in junior A maintains his NCAA eligibility, while a player who signs a WHL contract loses his. With 22 teams, the WHL has to find a way to attract more of the better players. It needs to raise the talent level on the bottom half its rosters, which is where the OHL teams have an edge. Then there is the issue of travel. The WHL’s regular-season schedule — each team plays 72 games — with all of the travel that comes with it, works against it as it limits practice time, something that is invaluable in what is a development league. It’s worth noting that the OHL and QMJHL regular seasons are 68 games in length. Memorial Cup teams. The Spitfires, who played only one round, were at 1,146 km. The OHL-champion Erie Otters finished at 5,376, with the QMJHL-champion Saint John Sea Dogs at 10,320. The Thunderbirds travelled 13,724 km. Keep in mind, too, that of all the CHL playoff series this spring, the one between Seattle and the Everett Silvertips featured the two teams in the closest proximity to each other. Yes, the Thunderbirds did some serious travelling in the other three series. But . . . the Thunderbirds won the WHL title in Regina on a Sunday night, flew to Abbotsford, B.C., the next day and rode the bus home. Two days later, they flew to Windsor. Could they not have cut down on some of the travel by staying in Regina and flying from there to Windsor? I wondered the same thing a year ago when the Wheat Kings won the championship in Seattle, bussed to Abbotsford, flew home for a couple of days and then drove to Red Deer, only to go 0-3 and be outscored 16-5. The WHL needs to work harder to get its players more rest and more practice time. When the teams returned from their Christmas break this season, each of the 22 teams, with minimal if any practice time, promptly played three games in four nights. The WHL needs a schedule with a minimum of three games in three nights and no more four in fives. Oh, and one other thing — if a team plays on a Saturday night it shouldn’t have to play a Sunday game that starts before 6 p.m.
Of course, none of this would guarantee a WHL victory in the Memorial Cup, but surely it would make life at least a bit easier for its players, which can only be good for the product. Meanwhile, a former WHL coach told Taking Note that there is one other thing involved in all of this. It seems that not all teams are able to come down from the high of winning a WHL championship and then scale the heights again a few days later at the Memorial Cup. Just more food for thought . . .